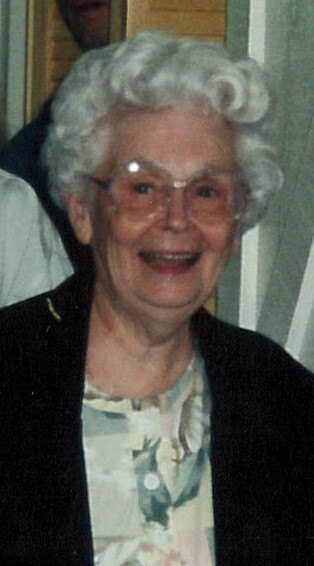 Elizabeth M. Wilson, age 98, of Horse Cave, passed away on Monday, March 25, 2019 at Signature Health Care of Horse Cave. She was a native of Allen County and a member of the Horse Cave Baptist Church. She retired as a clerk at Ben Franklin 5 & 10 in downtown Horse Cave. She enjoyed planting flowers and doing crafts. She was a devoted mother and grandmother and loved spending time with her family and really enjoyed her brothers and sisters. She was preceded in death by her husband, Willie Ray Wilson; her son, Willie E. "Dickie" Wilson; an infant daughter, Ruth Ann Wilson; her parents, Bill Martin & Lassie Connor Martin; two sisters, Mabel Collins, Juanita Bishop; and one brother, J.V. Martin. She is survived by one son, Johnny Ray Wilson (Debbie) of Smiths Grove; three grandchildren, Lisa Fisher (Todd), Haley Reynolds, Libby Ellis (Earl); eight great-grandchildren, Whitney, Payton, Trace, Grayson, Addison, Bailey, Jackson & Owen; two sisters, Lucille Carver & Josephine Edwards; one brother, Kenneth Martin (Louise); several nieces, nephews, cousins and a host of friends. Funeral services will be held at 11 a.m. on Thursday, March 28, 2019 at Winn Funeral Home with burial to follow in the Horse Cave Municipal Cemetery. Visitation at Winn Funeral Home from 11 a.m. until 8 p.m. on Wednesday, the 27th, and from 8 a.m. until time of service on Thursday. Expressions of sympathy may take the form of contributions to the Alzheimers Association.